Giorgi Dolidze was born on 10th of April 1988 in Tbilisi, Georgia. He spent his early years in west part of Georgia, town Ozurgeti till the age of high school and his family moved back to the capital in 2001. Giorgi has Graduated from Tbilisi High School #155 and later Georgian Technical University international economics bachelor degree. During this time he was also supporting the US Peace Corps team to accomplish the project “English Public Library” in his home region, Guria. In years 2006 – 2010 he was involved in foundation of world’s largest youth organization AIESEC‘s national chapter in Tbilisi. He is the founder of the first local committee in the capital and regional chapter in Batumi. During his term of presidency AIESEC in Georgia had also organized Central Asia and Caucasus Congress hosting more than 120 delegates from 14 countries of Central and Eastern Europe, Caucasus and Central Asia. His handprint of leadership also includes first over 200 exchange programs realized from AIESEC in Georgia and first incoming exchange students from Europe and the USA. Later in 2011 – 2014 Giorgi Dolidze has founded ISIE International School of Intellect and Education, which now has chapters in three European countries Georgia, Poland and Portugal. ISIE is the non-formal educational institution, that helps young people to connect their education with the reality. To achieve its mission ISIE organizes large diversity of projects, events, conferences and special programs for different target groups of young people. After successful transitions to new generations in youth organizations, Giorgi has continued his career in entrepreneurship. 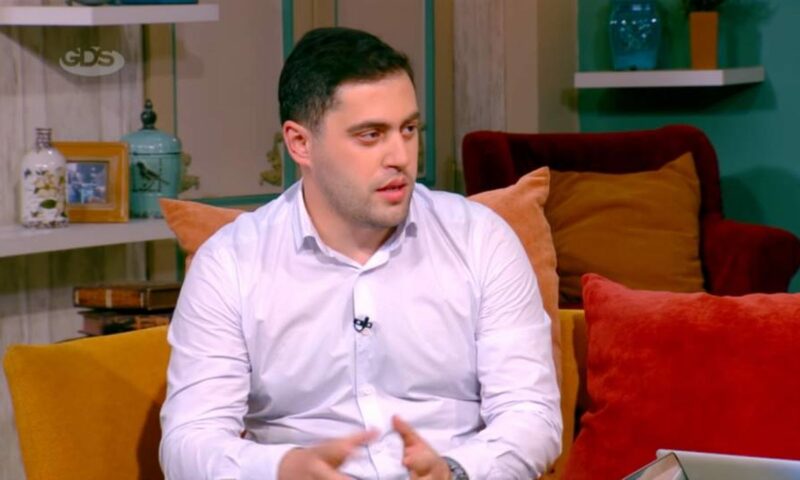 He has created the first all-in-one type promotional printing agency in Tbilisi, BrandHand in 2014 and later in 2017 the online gift-shop Panta, where customers have intuitive experience purchasing customized gifts. In year 2016, already having experience of creating start-ups he created a company StartUp Help having essential services for start-up companies to ensure a safe take-off in business. Later the same year he has founded Renovare, the first renovation and construction company of its kind in Georgia. Today Giorgi is an inspirational speaker and motivational couch at international conferences, projects and events at AIESEC, ISIE, Kant Academy and other educational institutions.